Recently stumbling upon a casual journal entry made by her mother many years ago, Kurulkar was able to estimate the total number of menstrual cycles she has gone through till date. Each period cycle is represented through a porcelain replica made with the help of 3D printing and later wrapped in thin sheets of fine porcelain. The process of wrapping was more an act of shrouding a body as opposed to the swaddling of an infant. 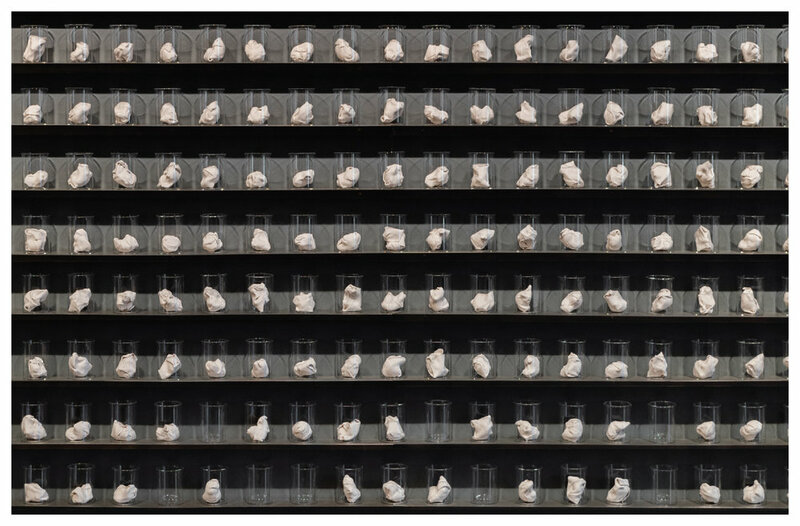 In total, 382 uteri are placed in individual glass beakers and displayed in an ordered symmetry.